Hyperbolic Face and VFT Technology combine to make for faster ball speeds and a larger sweet spot, which results in more consistent and longer distance. The Speed Frame Technology reduces weight and moves it to the perimeter of the clubhead to create a higher MOI. Thickness control is achieved through a chemical milling process that removes extra material. Reduces drag by 17% over the regular Diablo Octane Driver. Added distance and higher impact speeds come from the Streamlined Surface Technology. Black PVD Finish Physical Vapor Deposition Finish comes from a high-tech process that produces a distinctive look for awe-inspiring confidence. 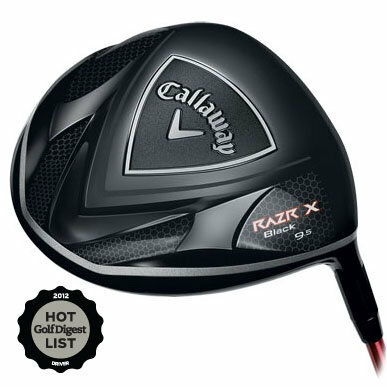 Be the first to review “Callaway RAZR X Black Graphite Driver” Click here to cancel reply.